Nature’s vibrant hues are equally gorgeous, but typical rustic style calls for more muted tones. Think rich, mud-brown furniture, sand-coloured accents, or pine-green trimmings. Alternately, you may also simply go for plain white walls. White walls make a great blank canvas for your rustic décor, and when left plain, they elevate the bright, cheerful atmosphere that’s characteristic of rustic spaces. The most important component of the rustic design is the raw, natural elements present in both the architecture and décor. Incorporate some natural-looking faux sheepskin throw or some zebra or cowhide rugs that maintain the cohesiveness of your contemporary rustic style. As rustic style accentuates the natural state of things, it pays to incorporate raw wood accents that highlight its knottiness, tones, and grain. If there aren’t enough wood elements in your home, you may consider installing large, chunky beams on the ceiling or changing the floors to wood. The stairs are also one area of the home that you can quickly transform to wood. Timber is a popular material for flooring systems and stairs because of its strength and aesthetic. 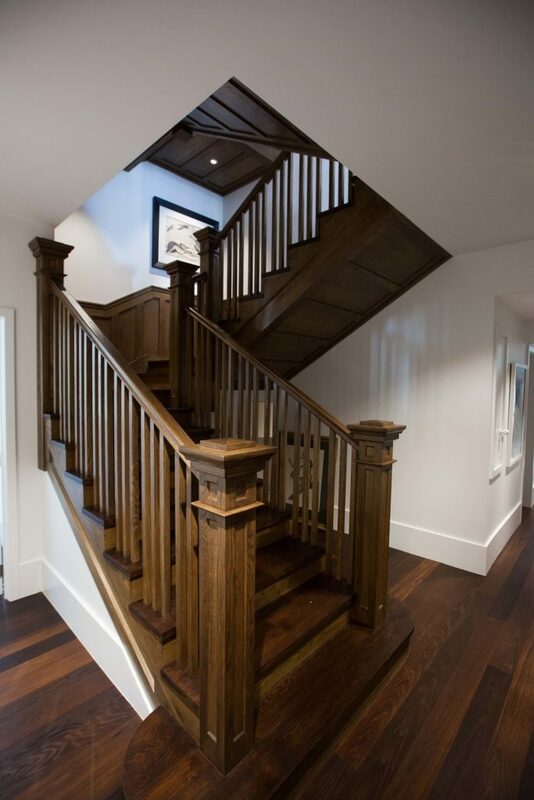 When looking to install wooden stairs, you may turn to Ackworth House for the real thing. We use quality timber to create beautiful, long-lasting wooden staircases that will blend well with your existing contemporary rustic home. For more information or to receive a free quote, fill out our form, and we’ll get in touch with you the soonest time possible.